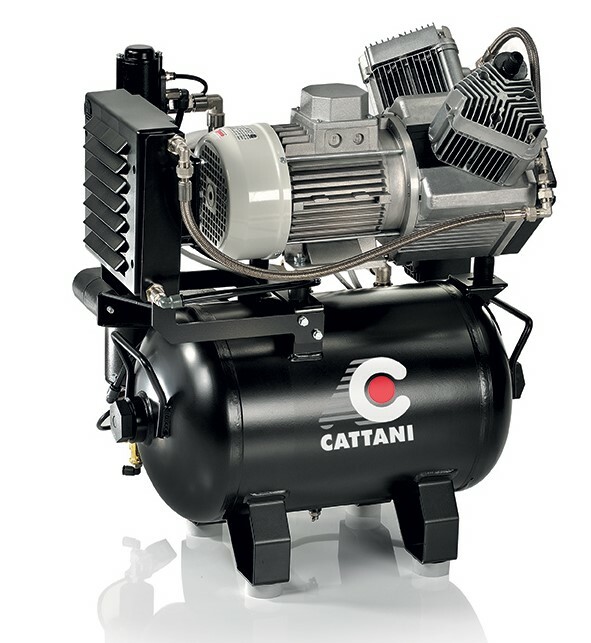 The CATTANI oil-free compressor (without oil lubrication) complete with drying system and a set of filtres, is capable of supplying dry compressed air of extremely high quality and purity. With the sterilising filter air is treated with an efficiency of 99.9999+% on 0.01 μm particles. We have chosen quality and reliability as our emblems: this is why we can grant you a 3-year warranty. The optional deadening plastic cover and the deadening box reduce noise by 10 and 20 dB. Sound pressure level 71 dB (A). Net Weight= 127lbs. Gross Weight= 172lbs.